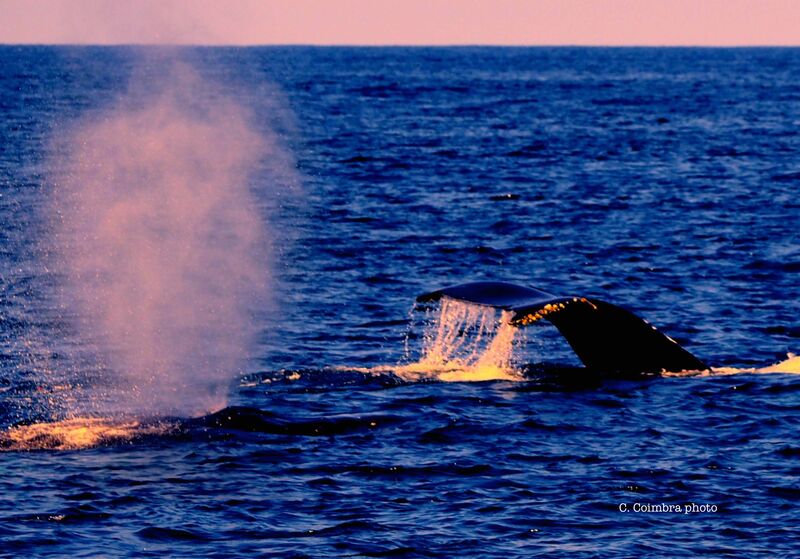 New Findings on Arabian Sea Humpback Whales – Neptune 911! Editor’s Note: A December 29, 2014 update to this story is added at this story’s end. The Arabian Sea humpback whale may be the most isolated humpback population on the planet, keeping its home in the same place for tens of thousands of years. That’s the conclusion reached in a new study of the marine mammal conducted by a research team from the Wildlife Conservation Society and the American Museum of Natural History. The whale, currently classified as “Endangered” on the International Union for Conservation of Nature’s (IUCN) Red List of threatened species, has proved difficult to study due to a limited amount of data from which to work. But the authors of a study just published in the journal PLOS ONE were able to analyze tissue samples from 67 Arabian Sea humpback whales, focusing on both mitochondrial and nuclear DNA. The team then compared its genetic analyses with existing data from humpback whale populations in both the Southern Hemisphere and the North Pacific. They found that the Arabian Sea humpback is highly distinct from the Southern Hemisphere and North Pacific populations. Meanwhile, the team’s analysis of the gene flow of the creature suggested the Arabian Sea humpback originated in the Southern Indian Ocean. But it came to be isolated in the Arabian Sea, and has been there for 70,000 years. A fact that’s “remarkable for a species that is typically highly migratory,” the researchers wrote. As a key follow-on to their findings, the researchers consider the Arabian Sea humpback’s low prospects for abundant reproduction, as well as threats posed to it by mankind, and recommend that the whale be designated “Critically Endangered” on the IUCN’s Red List. (MENAFN – Muscat Daily) The Environment Society of Oman (ESO) as well as scientists from international conservation groups have called for the moving of Arabian sea humpback whales territorial in Omani waters from ‘endangered’ to ‘critically endangered’ status on the International Union for Conservation of Nature’s (IUCN) Red List of Threatened Species. Scientists from the Wildlife Conservation Society (WCS) the American Museum of Natural History (AMNH) ESO and other organisations have made a fascinating discovery that humpback whales inhabiting the Arabian Sea are the most genetically distinct humpback whales in the world and may be the most isolated whale population on Earth. The results suggest they have remained separate from other humpback whale populations for perhaps 70000 years extremely unusual in a species famed for long distance migrations. The researchers say that the small non-migratory population of humpback whales in the Arabian Sea is classified as ‘endangered’ on the IUCN Red List an assessment constrained by a lack of data including limited understanding of its relationship to other populations. ‘Results show that the Arabian Sea population is highly distinct; estimates of gene flow and divergence times suggest a southern Indian Ocean origin but indicate that it has been isolated for approximately 70000 years remarkable for a species that is typically highly migratory. Our findings suggest this is the world’s most isolated humpback whale population which when combined with population estimates and anthropogenic threats raises concern for its survival. ‘We recommend an amendment of the status of the population to ‘critically endangered’ on the IUCN Red List’ the study that appeared in online journal Plos One stated. Robert Baldwin head of marine research at ESO and one of the authors of the study told Muscat Daily that Arabian sea humpback whales are genetically distinct making them so unique that it is one of the most-at-risk whale species in the world. And with current estimate of the population to be less than a hundred individuals ‘its status needs to be upgraded to critically endangered’ he said. In view of its status ESO along with the International Whaling Commission and other governmental bodies is drawing up a conservation management plan. ‘A workshop is planned in January 2015 and it is expected that several regional countries will be taking part in it to come up with the management plan’ said Baldwin. Known for its haunting songs and acrobatics the humpback whale holds the record for the world’s longest mammal migration; individuals have been tracked over a distance of more than 9000km. ‘Arabian Sea humpback whales are the world’s most isolated population of this species and definitely the most endangered’ added Howard Rosenbaum director of WCS’s Ocean Giants Program and senior author of the study.